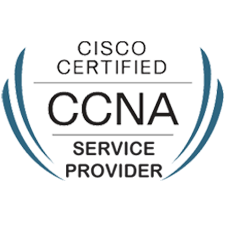 CCNP Collaboration certification curriculum builds the skills you need to get hired and succeed in jobs related to primarily on Cisco Unified Communications Manager. 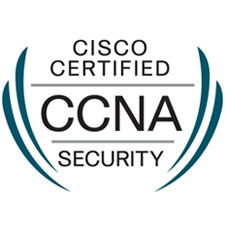 Candidates will need to show they can configure Cisco Unified Communications Manager, implement gateways and Cisco Unified Border Element, and build dial plans to place on-net and off-net voice and video calls using traditional numbered dial plans and Uniform Resource Identifiers (URIs). 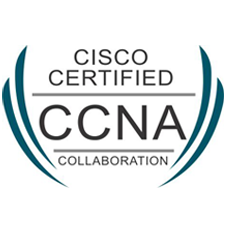 Whether you’re preparing for your first job or specializing with more study, CCNP Collaboration is a great foundation. Career pathways include: Candidates will also implement media resources, including voice and video conferences, and be able to describe how quality of service ensures that the network provides the required quality to voice and video calls. Career pathways include: Candidates will also implement media resources, including voice and video conferences, and be able to describe how quality of service ensures that the network provides the required quality to voice and video calls. 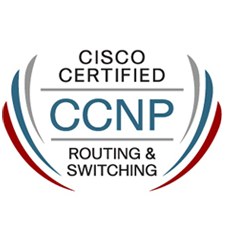 Certification: Implementing Cisco IP Telephony & Video, Part 1 v1.0 (300-070) Is part of CCNP Collaboration certification.